Working with thousands of businesses all over Australia, we’re asked a lot of questions every day. One that comes up quite frequently, especially from new businesses and SME’s, is “why should we allocate budget to membership cards over, say, traditional, broad marketing methods”. Do you have a variety of happy but infrequent customers who you believe could be incentivised to increase their spend? Do you want to put in place a platform to engage your customers, increase their loyalty, reward their spend and push for referral business to their friends, family and colleagues? Do you want to build a platform where you can monitor the efficiency of your marketing efforts, increase revenue and get more value for your spend? Chances are that you’ve read the above and answered yes to virtually everything. Perhaps you’re looking at this saying that “every business would say yes to the above” – and you’re 100% correct. We struggle to think of any business that wouldn’t gain an advantage by implementing some form of loyalty marketing. 1) Brand: customers who become members also become a part of your community. They’re more likely to become brand champions, more likely to engage and more likely to show loyalty to you over a competitor. 2) Access: by having a membership program, you create a two-way access path. You give your members access to member-only benefits, and you have access to your customers to push targeted revenue-driving campaigns. 3) Value: following the 80/20 rule, your spend on loyalty marketing should drive the bulk of your repeat business. Overheads are lower than broad campaigns with much higher ROI potential. 4) Awareness: membership cards serve as a constant reminder for your customer to take advantage of their membership benefits. What do I offer my customers? This is the true beauty of loyalty marketing: there is no fixed template. Have a look in your wallet or purse. How many loyalty and membership cards do you have? What do they offer? Is your 10th coffee free? Are you entitled to 10% off a purchase? Do you get a benefit for recommending a friend? Do you gain rewards points? Do you have access to members only deals? There are literally hundreds of options! 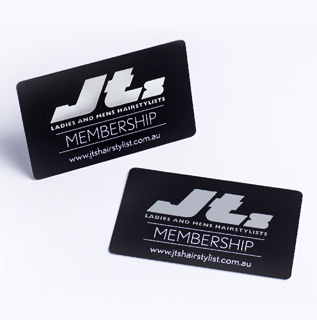 As Australia’s leading manufacturer of custom plastic membership cards, not only can we produce your high-quality membership cards, we’re also happy to provide all the advice you need on setting up, implementing and refining your membership program. Click here to see our membership card gallery. Click here to contact PR Australia.